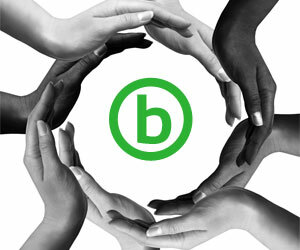 Glendale, CA – June 20, 2013 – bTrade, the leading provider of compression and managed file transfer technology solutions, today announced that it has been recertified as a Minority Business Enterprise (MBE) by the National Minority Supplier Development Council (NMSDC). NMSDC established stringent certification standards which identify bona fide minority businesses, and the regional Councils do the investigation to determine whether a business is worthy of MBE certification. bTrade worked with the Southern California Minority Supplier Development Council (SCMSDC). SCMBDC performed a combination of screenings, interviews and site visits to establish bTrade’s eligibility. This feature distinguishes NMSDC from other organizations or entities that publish directories which allow “self-certification” as their standard. MBE certification is accepted and generally required by many of the largest publicly, privately and foreign-owned companies, as well as universities, hospitals and other buying institutions. The nearly 200 corporate members of NMSDC represent a veritable “Who’s Who” in corporate America. In business for more than 20 years, bTrade is a profitable and growing software technology company with headquarters based in Glendale, California. 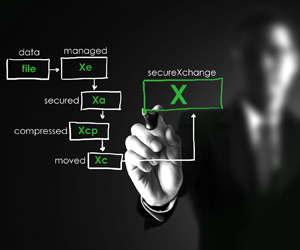 bTrade continues to enhance its managed file transfer solution, secureXchange, and help organizations with their data security needs. bTrade develops managed file transfer technology solutions for enterprises that share sensitive data across applications and organizations, and face complex security and compliance mandates. Thousands of customers depend on bTrade’s solutions to gain control and oversight of the movement of critical corporate data to facilitate data growth, reduce security risk, and improve IT and business efficiency. bTrade was founded in 1990 and is led by eBusiness visionaries who have delivered industry-leading business integration solutions to thousands of enterprise customers worldwide. bTrade is privately held and profitable with its global headquarters located in Glendale, California USA.